It all started in May 2014 when my colleague Kelly, invited me as a guest to one of her events, Fight to End Cancer. As Special Events Coordinators at The Princess Margaret, we are invited, volunteer and partake in many events that are run by our third party organizers. Kel assured me that this one was different- the dresses, the suits, the energy and most importantly, the fights. We wouldn't be attending just any gala, we would be watching multiple boxing matches at a gorgeous venue, wearing pretty dresses and eating a delicious meal. I was intrigued. Fast forward to November 2014 and here I am, embarking on an almost 7 month journey as a lucky member of the 2015 fight team. On May 30, 2015, I will be in that boxing ring, surrounded by family and friends, facing my opponent. This thought both TERRIFIES and EXCITES me. The training has begun (I am one week in) and I can actually already tell that I am improving (obviously not a lot, but I'm trying not to overthink things). 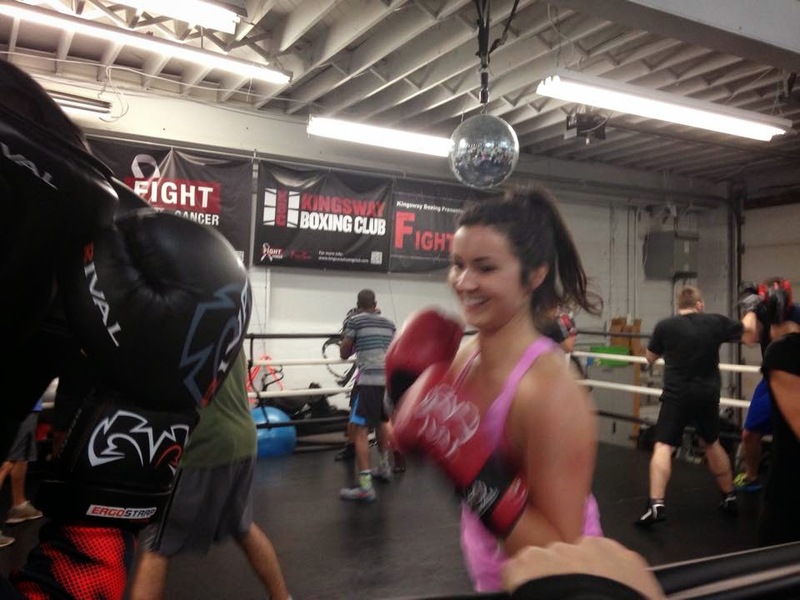 I came into day one having no clue what I was doing - other than the occasional body combat class at a nearby Goodlife, throwing a punch was completely foreign to me and after four (long) classes, I feel like I'm a pro (just kidding Jenn and Virgil, I know I have a lot of work to do)! 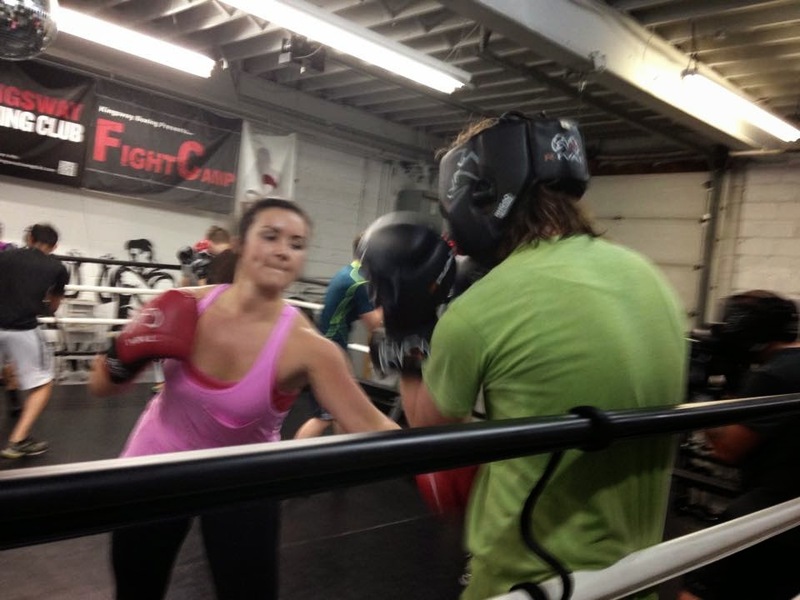 Jennifer and Virgil have been the two amazing souls who have been teaching all the newbies the ins and outs of boxing. From the moment I stepped into the gym, I felt like I was part of something so much bigger than just a group of people boxing together- I feel like this is my new family and after every workout, I'm excited to come back for the next. I am sure I may not feel this way after every day at the gym as I have been warned that I will experience the best of the best days and the worst of the worst, but i'm sending positive vibes out to the Universe that I don't have any or too many bad days (wishful thinking). Week One went better than I could have imagined. I purchased a mouth guard and wraps for my wrists that I think make anyone look tough, learned the boxing basics and I even got into the ring and punched people. I was nicely tapping people because I didn't want to hurt anyone and once I got the go ahead from Jennifer that I could actually punch them, I had the best time! (see photos below captured by Jennifer) I might have been a little too happy. 3. Always protect your face with your other hand when you are punching, otherwise you will just get punched on the side that is unprotected AND hold your hand in the proper spot or Virgil will come by you and aggressively hit your own hand into your face. 5. Your boxing stance is VERY important because if you are ever off balance when you're punching, then you're out of luck and definitely going to get punched and you'll probably fall. That's all I can really think of for now and I am sure as my boxing techniques and language become more advanced, so will my blog posts. I can't wait to see what next week brings! Stay tuned for week 2 updates in my FIGHT TO END CANCER.